For the last few years we have only wondered what the new Godzilla was going to look like, most doubted any filmmaker would be able to make a Godzilla movie and do so to honor the famous japanese franchise. If the first two trailers are any indication, director Gareth Edwards has been able to capture just that. 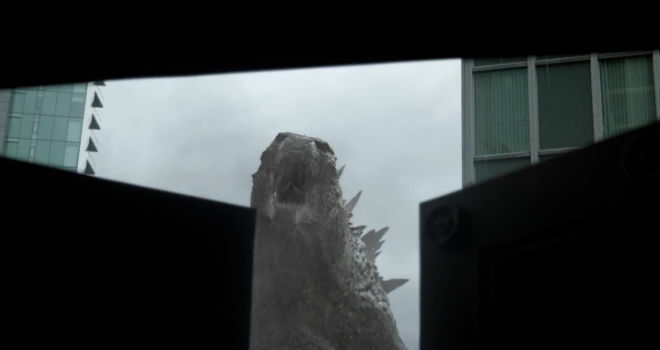 Thanks in large part to a very exciting cast, and Edwards vision (Check out his 2010 indie hit Monsters) Godzilla is turning into one of the most anticapted summer films. The second trailer shows us a lot more of what we want to see including a fleeting vision of the iconic monster as well as many plot details and plenty of Bryan Cranston yelling. If you look closely it also hints that it won't just be the one monster in this film, we may get to see one or two others for Godzilla to battle. I don't know about you but I have been excited about this movie since a teaser trailer was shown at Comic Con two years ago. Now that the movie is done, it might just be the most exciting movie to hit theaters this summer. Check out the trailer below!! Godzilla Hits theaters in the US on May 16th.